Looking for a new adventure? Are you an ambitious, hard working, highly motivated, self-starting type of a gal/guy? Do you love the thrill of the sale? And are you familiar with the interwebs? 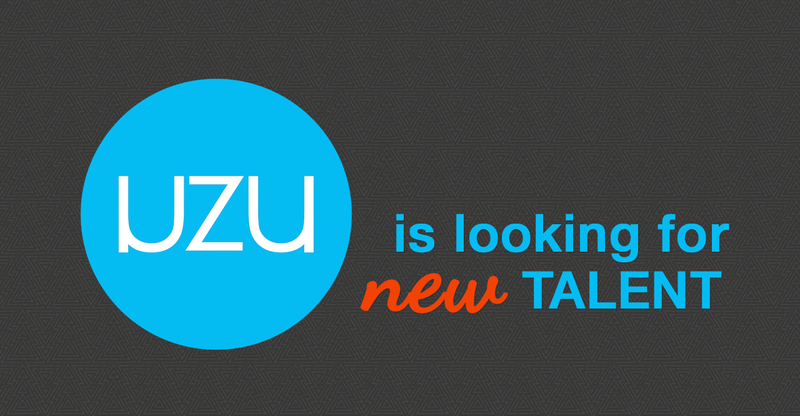 UZU Media is hiring, and this job may be for you! Based in Colorado Springs, UZU Media is looking for someone who loves to meet new people and help small businesses grow through what UZU has to offer. We’re a growing and respected digital marketing agency looking to expand our team! We’re guessing you’re probably pretty ambitious, and are ready for a new challenge. If you’re ready for a new pace in your work environment, this position may just be the right fit for you. We are an office full of diverse, quirky, fun-loving people, and we’re growing rapidly. As a Junior Business Developer, you don’t need to be micromanaged, and you’re full of creative, maybe even unique ideas for growing our business. You’re not afraid of the phone or of reaching out to businesses to let them know how you could be of service. And, of course, if you’ve been in biz dev, you know how to always be closing. $35-45k possible in the first year with the right work ethic. $50k+ soon. Commit to UZU Media’s mission to be one of the top advertising and marketing agencies in Colorado Springs. Commit to the best customer service — going above and beyond. Use your growing sales acumen to expand our diverse client base. Ability to make 20-50 cold calls, follow-up calls, and account management calls a day. Being a free thinker (yet team player) with an outgoing, and entrepreneurial mindset. Tactful, kind and even fun… we’re looking for sales with integrity. We’ve fought hard to establish our reputation and we want someone fosters our relationships in the Springs. Your own cell phone with high minutes and a laptop with internet access. And reliable transportation. An ability to multi-task and prioritize is critical to your success in this role. Working under general supervision of our business development Manager and collaborating with as well as helping lead others in concept and proposal development are typical. This position is office based, with weekly sales meetings. Significant time visiting businesses is likely. There’s also high potential for helping expand our reach into other parts of Colorado if interested. Associates/Bachelors Degree in a business-oriented discipline a plus. 1-2 years of experience in B2B sales. This list isn’t intended to be exhaustive. It is to describe the general content and requirements of this key position. If you think that you’re sales savvy and self-motivated, you may just be a good fit with our team. We are looking to make a fairly quick decision, so if you’re interested, get to typing. The response time will be quicker than your average job application process. Just to clarify. This is a full-time position that requires onsite work with our team. Only looking for current Colorado residents. (At all. Really. No, you’re probably not the exception unfortunately… we usually have to trash 20+ apps at a time when hiring. We’re sure you’re really great, but we can’t do this process long-distance. Sorry!) But if you think you match up with us, and are interested, do the equivalent of swiping right. **UZU is an equal opportunity employer (EOE) and strongly supports diversity in our team.